Van rentals, convertibles, luxury cars, SUVs and sports cars are some of the most popular & highly rented categories at the Honolulu International Airport. 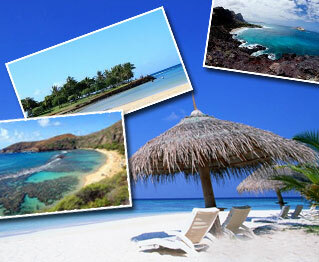 Rent a car for Honolulu International Airport in just three quick steps - search, compare, reserve! Cancel your Honolulu International Airport car rental for free, up to 48 hours before the pickup time. Car rental at Honolulu International Airport (HNL), situated 5 kilometers to northwest of Oahu district in Honolulu, is a preferred means of travelling among business and leisure travelers arriving at this airport. At USA Cars Rental, you get finest Honolulu International Airport car rental services through a wide network of suppliers across Honolulu, USA. Car hire at Honolulu International Airport is one of the most preferred modes of commuting from this airport to nearby locations. Our Honolulu International Airport car rental services are easy to book and allow you to make changes in booking details on your own. Car rental Honolulu International Airport deal with us gives you inclusions like theft waiver, liability insurance, CDW, customer support and more. Honolulu International Airport is one of the busiest airports in USA in terms of passenger traffic. It caters to approximately 21 million passengers, each year. You can reach this airport via Nimitz Highway or the Queen Liliuokalani Freeway. A car hire at Honolulu International Airport would be the best mode of transportation to get around the city. The chief focal point of Hawaiian Airlines is Honolulu International Airport. The airport is also used as a base for Aloha Air Cargo. There are four runways in Honolulu International Airport. Not all of these are used by the airport but are shared by the neighboring Hickam Air Force Base. Apart from these four runways the airport also has four paved offshore runways. These offshore runways are utilized by seaplanes only. At the Honolulu International Airport you will find all the essential terminal services for passengers. 24 hour medical facility is readily available at the airport premises in case of any emergency. If you are traveling continuously and have to visit Honolulu only to conduct a meeting then you can do so at the airport premises itself. To cater to the needs of the business honchos Honolulu International Airport has arranged a business center which also has a conference room, where private meetings can be conducted. Ample of parking spaces are available at the airport. This can be used by all kinds of passengers whether they are on short term travel or long term one. There are restaurants and bars and many duty free shops. Whether you wish to explore Honolulu’s local attractions, stunning beaches or nearby places, just rent a car at Honolulu International Airport. Bishop Museum – This is a museum of science and history located in the district of Honolulu. It is Hawaii’s largest museum and houses the largest collection of Polynesian artifacts. Pearl Harbor – Largest lagoon harbor and serves as the headquarters of the United States Pacific Fleet. USS Arizona Memorial – Resting place of sailors and marines who lost their lives in the surprise attack at the Pearl Harbor. Diamond Head – A famous volcanic tuff cone with the name “Diamond Head” after British sailors mistook the crystals in its surrounding beaches as diamonds. This white sand beach is one of the best liked beaches in US. Take part in activities like paddling, surfing, swimming & jogging. There are about 400 species of fish estimated in the bay. The bodysurfing beach in Hawaii has deep blue water and the view is panoramic. It is also known as the Rabbit’s Island because of its shape.